Dr. Dannette Lammert worked as an optometric technician and office manager for ten years, which led her to falling in love with the field of optometry. She grew up in Las Vegas, Nevada and obtained her Bachelor of Science degree in Biotechnology from the University of Las Vegas Nevada. 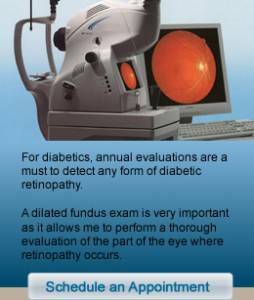 She then attended Illinois College of Optometry and received her Doctorate of Optometry degree. Dr. Lammert completed internships at the VA hospitals in Las Vegas, NV and West Palm Beach, FL where she specialized in a variety of ocular diseases such glaucoma, age-related macular degeneration, diabetic/hypertensive retinopathy, and cataracts. 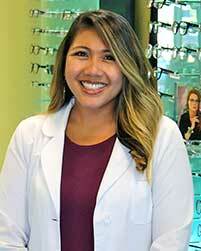 She is presently licensed as a Therapeutic Optometrist and Optometric Glaucoma Specialist. She has practiced in Illinois, Florida, Nevada, and Hawaii in numerous eye care settings including medical and retail practices. Dr. Lammert practices medical-based optometry and believes the visual system is an integral part of our health to be examined holistically. She provides comprehensive eye care for patients of all ages along with treating and managing dry eyes, red eyes, anterior/posterior ocular diseases and contact lens evaluations. She strives to provide excellent care to all her patients and is excited to take care of you and your family. Dr. Lammert moved to the great state of Texas over two years ago, first in Austin and recently to Fort Worth to be closer to family. In her spare time, she enjoys hiking, traveling, eating at different restaurants, and spending time with family and friends.